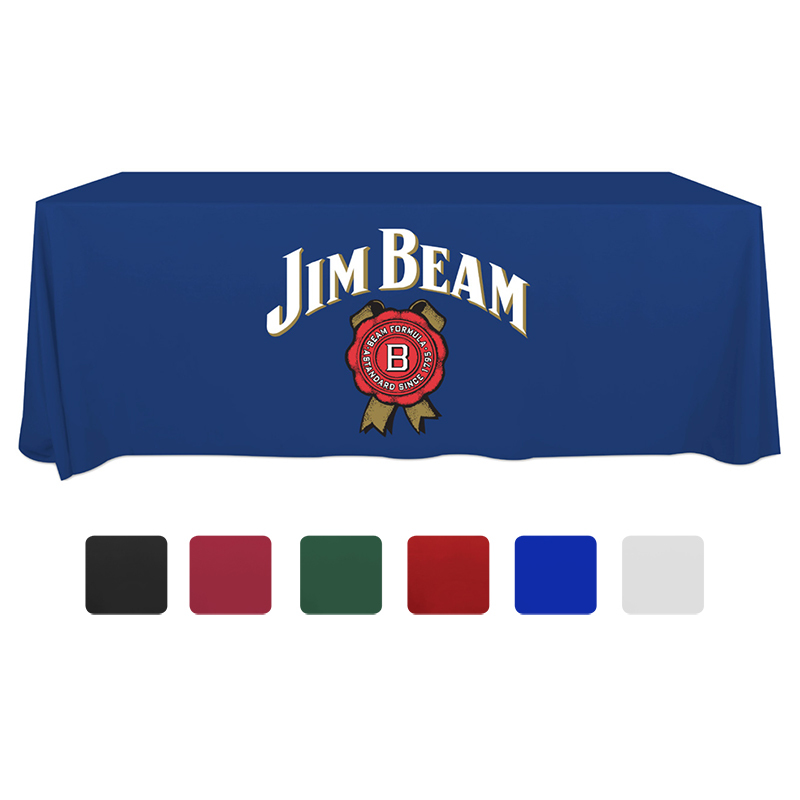 8' flat, 3 sided table cover is USA printed and sewn. Water based, eco-friendly inks. Logo and color embedded into fabric (NOT a surface transfer). FREE clear plastic zippered storage bag included. Machine washable and wrinkle resistant. Colors Available: Red, Royal, Hunter Green, Burgundy, Navy, Black, White.